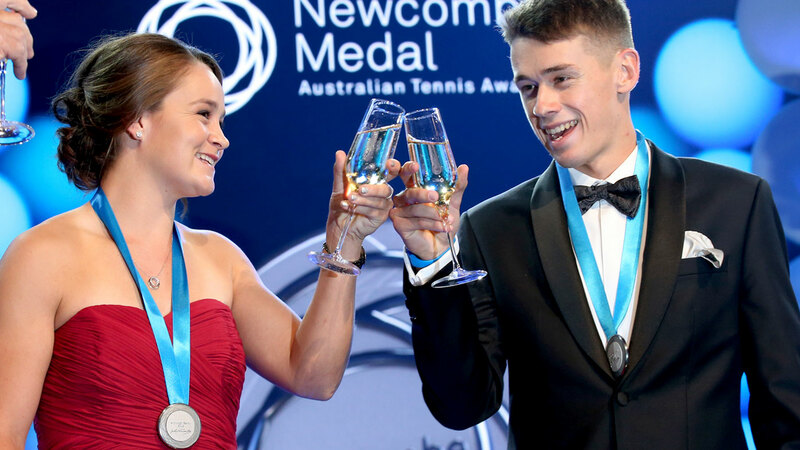 Young guns Ashleigh Barty and Alex de Minaur have been named as joint winners of the Newcombe Medal on a historic night for Australian tennis. 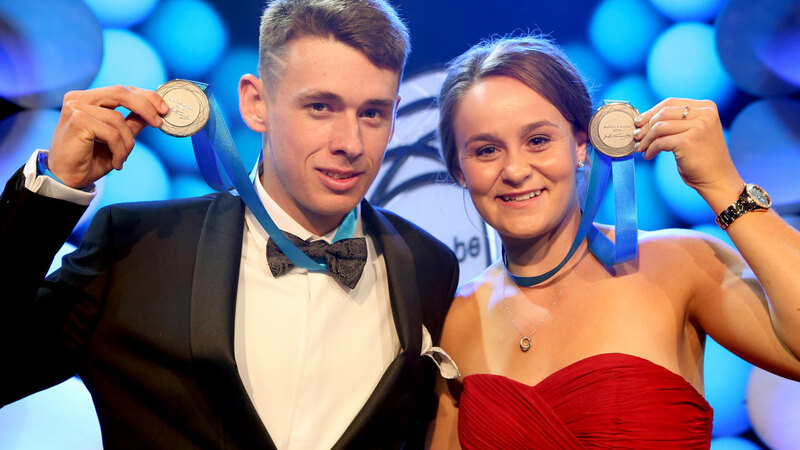 Judges were unable to split Barty and de Minaur after both enjoyed stellar seasons, ensuring Australian tennis' highest individual honour was shared for the first time in the award's nine-year history. Barty joins former US Open champion and French Open finalist Samantha Stosur (2010, 2011, 2012) as only the second multiple recipient after ending 2018 as Australia's highest-ranked player at No.15 in the world. Last year's Newcombe Medallist won the WTA Elite Trophy in Zhuhai, another singles title on grass in Nottingham as well as four doubles titles - including her maiden grand slam alongside American Coco Vandeweghe in New York. Barty amassed 46 singles wins for the season, reaching the Sydney final, semi-finals in Strasbourg, Montreal and Wuhan and making a career-best fourth-round run at the US Open in addition to her two title successes. De Minaur could not be denied either after being named the ATP's Newcomer of the Year following his meteoric rise from No.208 to a career-high 31st in the rankings in 2018. The 19-year-old's breakout season began with runs to the Brisbane semi-finals and Sydney final, which earned the teenager a Davis Cup debut, where he pushed then-world No.4 Alexander Zverev to five sets. He also reached the Washington final before rounding out his year with a runner-up showing at Next Gen ATP Finals in Milan. US Open quarter-finalist John Millman, who climbed to a career-high No.33 in the world after his stunning win over Roger Federer at Flushing Meadows, and wheelchair champion Dylan Alcott, who won a sixth grand slam title this year, were the other nominees for the top gong on Monday night. A highlight of the night at Melbourne's Crown Casino was the presentation of the Spirit of Tennis Award to retired ace Casey Dellacqua for her outstanding achievements both on and off the court. Darren Cahill, who guided women's world No.1 Simona Halep to her breakthrough grand slam crown at the French Open, won the coaching excellence award. Most outstanding 35+ tennis senior: Peter Froelich.